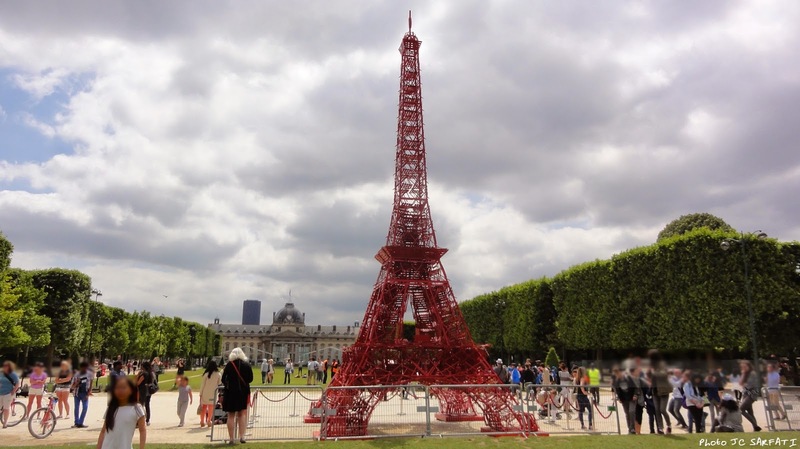 A red Eiffel tower arrived at the Champ de Mars! 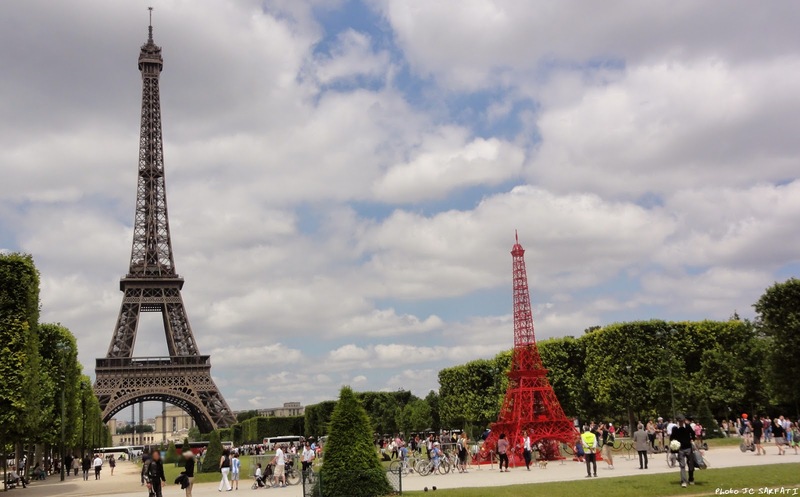 This 24th of June, a new Eiffel tower arrived in the Champ de Mars. 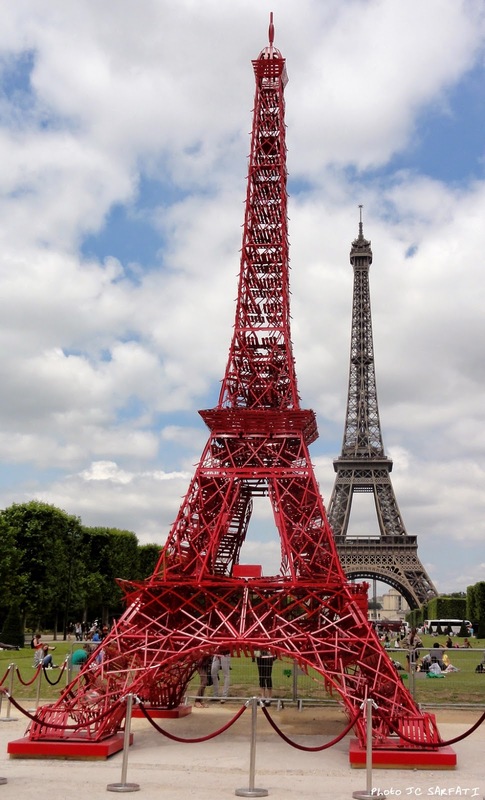 A new Eiffel tower 13 meters high constituted by 324 red chairs. 324 Bistro folding chairs. 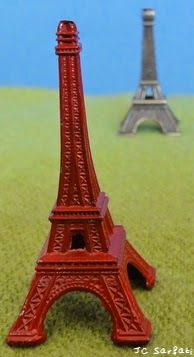 324 as the 324 meters of the real Eiffel tower. 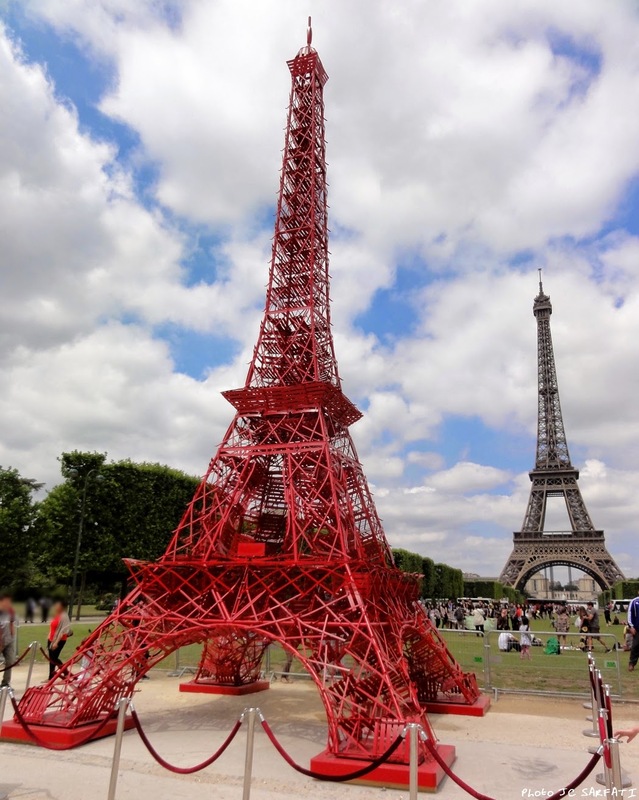 This folding chair was created at the same time as the Eiffel tower (1889) and build as a very practical and useful furniture for Cafés, Cafés terraces, gardens and parks. 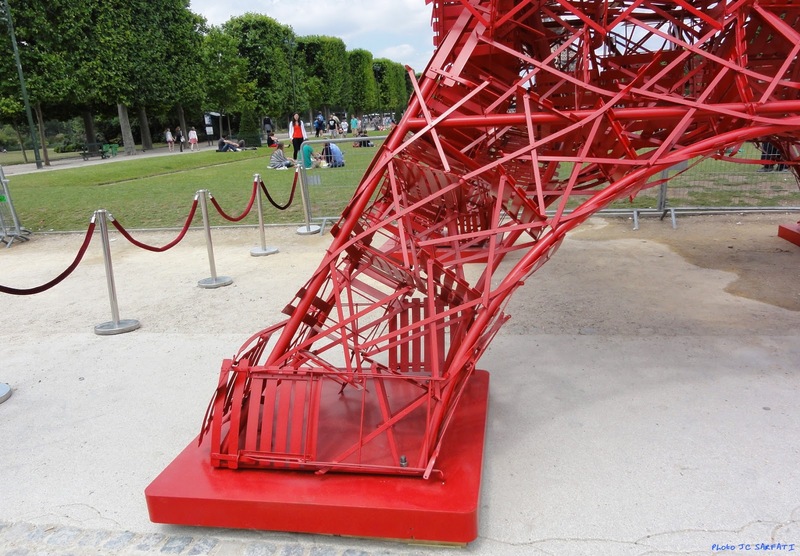 At first, the chair was made in wood and then in colored steel. Come to see these two sisters!